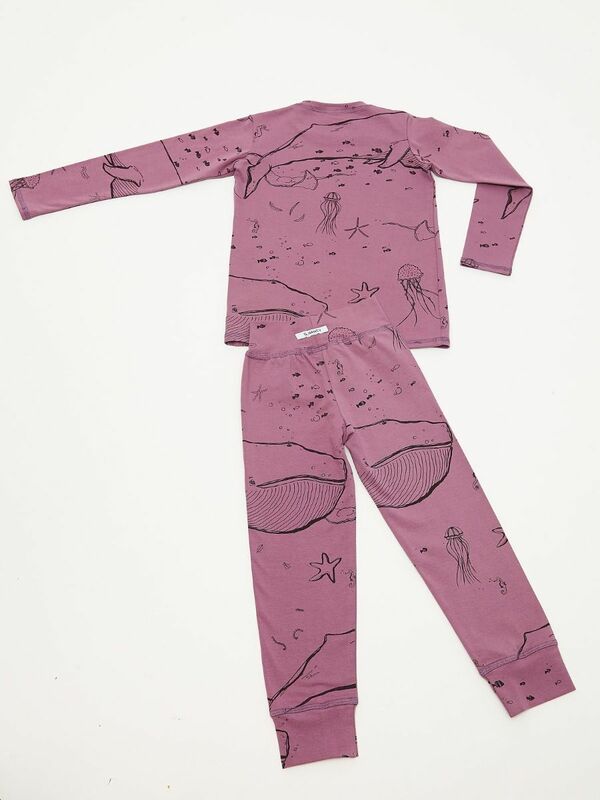 "Under the Sea" print purple long sleeve PJ set. Long pants with cuffs at the bottom. 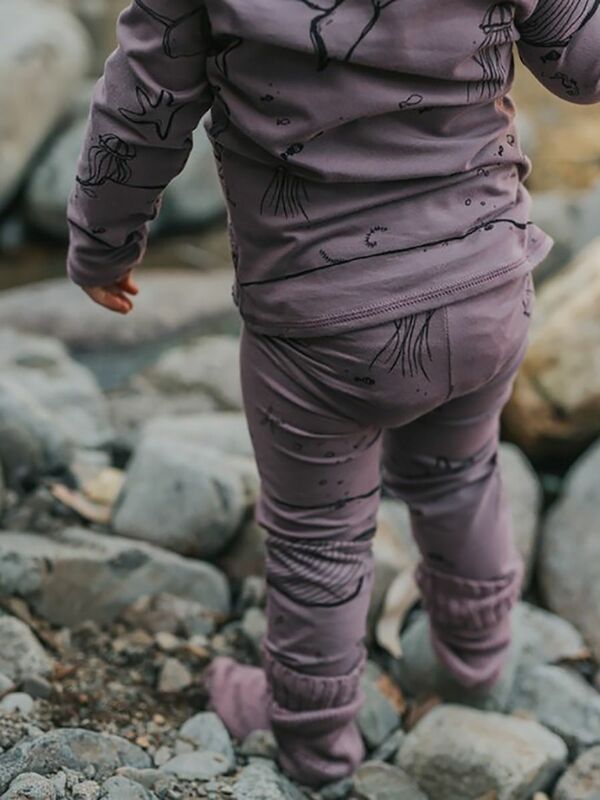 Ultra soft certified organic cotton.